Like every soon-to-be-married couple, every wedding venue has charm and an inspiring origin story - that’s what makes it beautiful. We have a soft spot for places with a rich, colorful history, and that’s certainly the case with Salt Lick BBQ: a family-run Texas [BBQ] legend since 1967. You see, in 1967, Thurman Roberts took a leap into the restaurant industry by opening The Salt Lick. Originally it was a road-side stand centered around an old-fashioned smoke pit built with rocks from the 500 acres of Driftwood property Thurman purchased when he moved to Texas. He would sleep on a cot, under the stars, next to his BBQ pit and sell meat throughout the weekend until it was gone. His wife, Hisako, made side dishes and brought them to the stand to sell. There was no running water, no electricity, and no restrooms. Eventually, as the restaurant grew, Thurman began to place picnic tables and build walls around the pit to create what is now the original restaurant. This BBQ pit still stands in the main restaurant today and remains the heartbeat of the entire operation. What started as a small, smoke-circled venture for Thurman Roberts has grown into a successful restaurant, catering and event homestead. The restaurant feeds more than 700 guests at once and serves more than 4,000 diners from across the world over any given weekend. The property in Driftwood is still maintained following the family traditions, and the award-winning family recipes - passed down through the generations - are still used today. Seriously, the BBQ is prepared the same way today as it was when Thurman was holding down the fort as pitmaster. Pretty sweet story, right? We thought so too… And so do the many couples who have or are going to get married on the dreamy Driftwood acreage sometime soon. The GBD POV… Golden brown and delicious, if you didn’t get that! 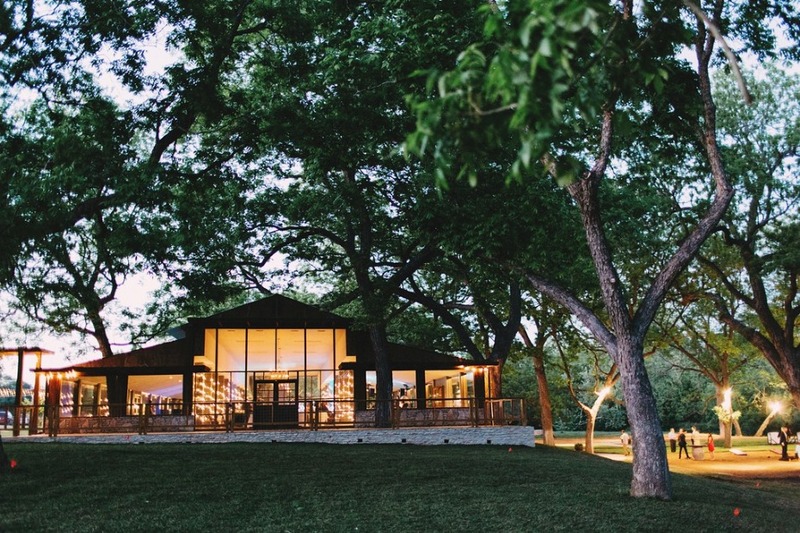 On the Driftwood acreage, there are two private event facilities that host weddings. Thurman’s Mansion is located on top of a hill, overlooking the restaurant. The Mansion boasts panoramic views of the hill country and a portion of the Salt Lick Vineyard. Most couples choose to get married on Thurman’s lawn, have cocktail hour on the veranda overlooking the vines, and recess to the main hall for a family-style dinner and dancing. Just past the restaurant stands Pecan Grove - the venue’s second event facility. Pecan Grove’s ceremony site sits underneath the pecan trees on the banks of Onion Creek (the sweetest vision ever). Once the ceremony has concluded, guests can enjoy cocktails by the water, then retreat to the indoor reception space. The reception space can seat a maximum of 350 people, and is illuminated with rustic chandeliers, adorned with twinkle lights, and surrounded by windows. Here, everyone can enjoy a BBQ buffet for dinner and a beer by the fire pit. The space also has an onsite bridal suite & groom’s room, plus a bonus communal room for wedding parties. All that comes with the wedding package. Caution, it might make you squeal! The Salt Lick is the exclusive caterer and bar service provider to Thurman’s Mansion & Pecan Grove. For weddings, both venues carry a food & beverage minimum, venue rental rate (which covers several event necessities including round tables, reception and ceremony chairs, white linens, dinnerware, set up, breakdown, catering and bar services), and ceremony fee. Costs are dependent upon day of the week and time of the year, of course. And the event coordinators are happy to share additional info on food and bar menus, preferred vendors and specific inclusions for your special events. Like your rehearsal dinner… The Salt Lick also provide private dining room rentals at the Driftwood Restaurant, Mondays through Fridays. So, if you and your fiancé feel like a Texas-style soiree to kick off your wedding weekend, this is a a great place to book. Bring your boots, BTW 🤠. 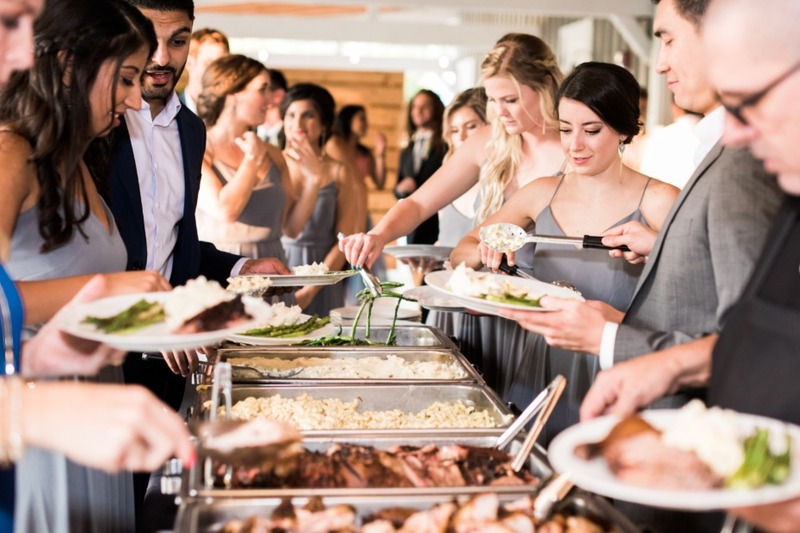 And if you’re celebrating elsewhere, but still craving your fair share of Salt Lick fare, they do offer offsite catering options - and service many event facilities in the greater Austin and Hill Country area. How’s that for awesome-sauce? 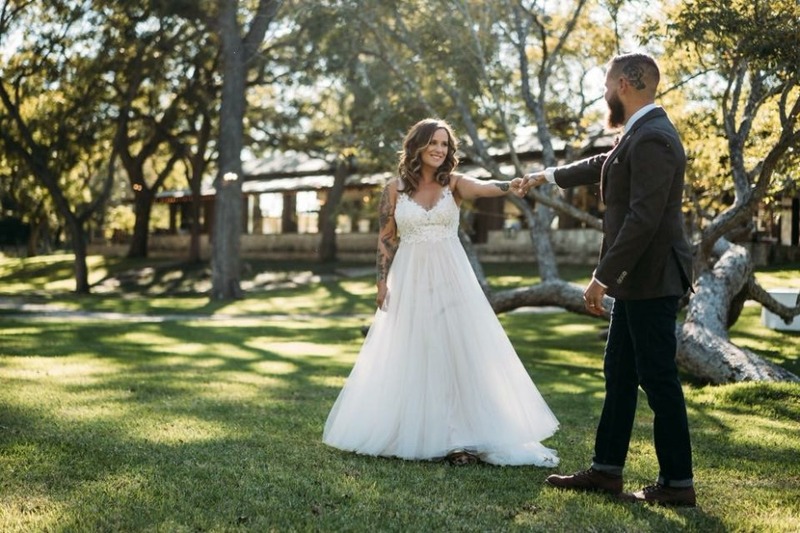 FOLLOW SALT LICK BBQ ON IG TO SEE HOW SWEET IT IS TO TIE THE KNOT IN TEXAS HILL COUNTRY. 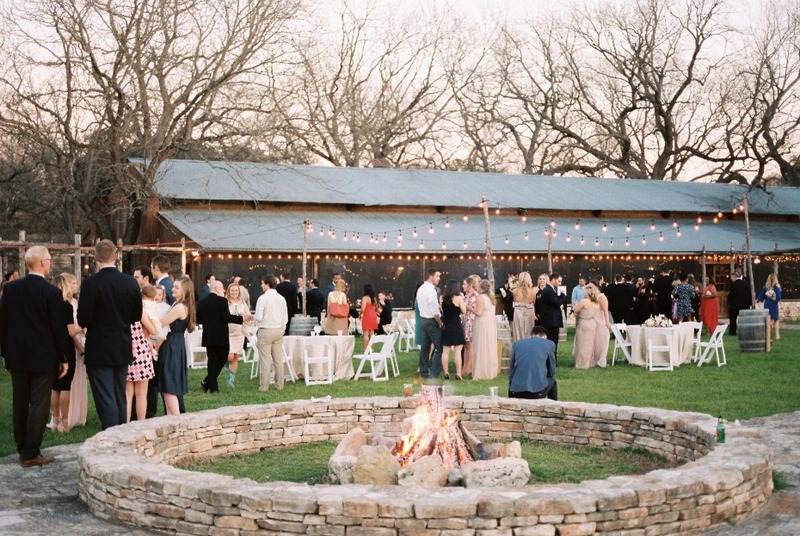 We partnered with The Salt Lick BBQ to share this sweet venue with you. As always, thank you for supporting our sponsors!